News > TC-2049. The first TECNOPOL spraying equipment for polyurea and polyurethane. 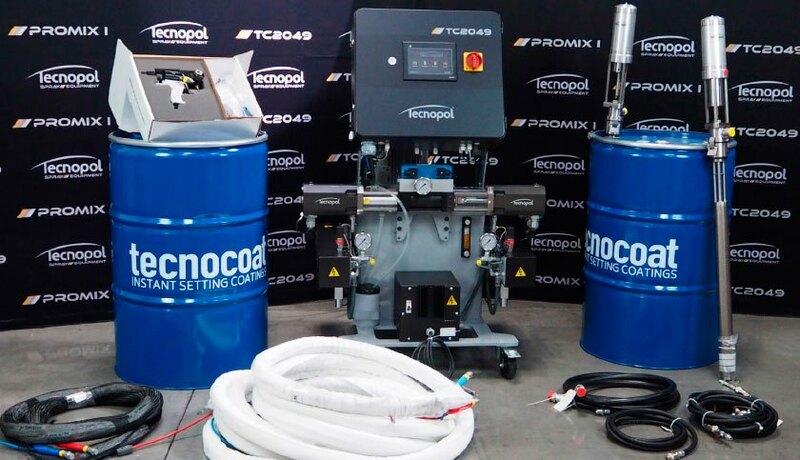 The new TECNOPOL SPRAY EQUIPMENT division was launched in order to offer a comprehensive solution for our clients, by developing and providing the ideal tools and equipment for applying our range of TECNOPOL polyurethanes and polyureas. The new TC2049 hydraulic dosing unit has been designed and manufactured to satisfy the most demanding application requirements of polyurea and polyurethane two component systems for which high precision is needed in order to ensure the quality of the mixture. Its open design allows easy access to all the components to simplify maintenance operations. Application of the TECNOPOL product range has never been easier or more reliable. Precise adjustment with just one click is the essential design premise of this new piece of equipment. The TC2049 comes with preset temperature and pressure parameters for the whole range of TECNOPOL membranes and foams under the heading “recipes”. Once a recipe is selected, the equipment automatically sets the temperature and pressure parameters for both components according to the specifications required for the product to be applied. 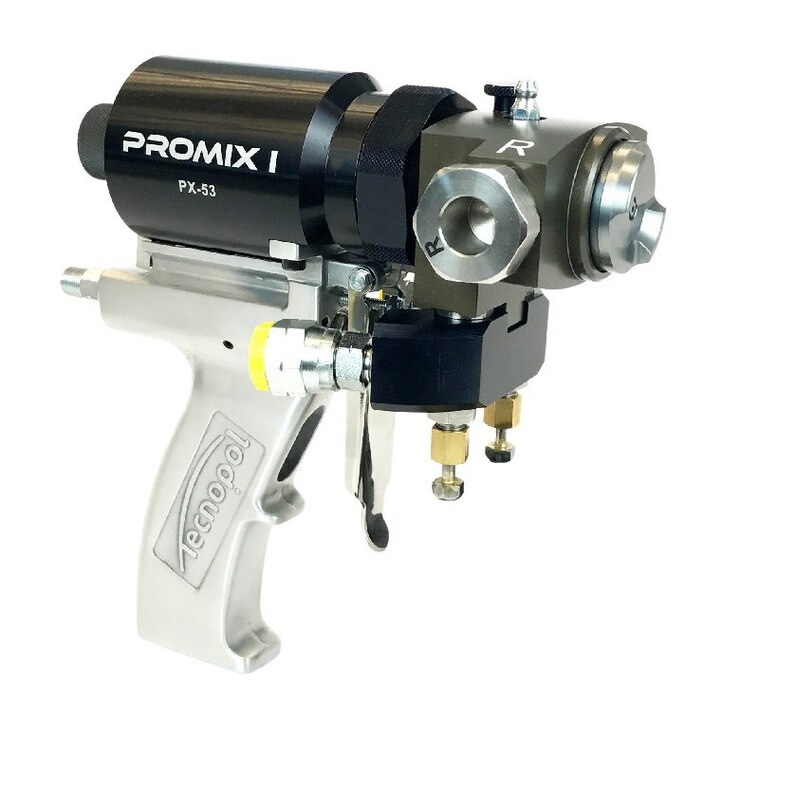 Together with the TC-2049 we have also developed our PROMIX I air purge gun. The design principle of the gun is also based on simplicity of use and maintenance, making the application of our products ever easier in order to achieve consistently better results.